Patient safety! Tip design prohibits acceptance of hypodermic needles. 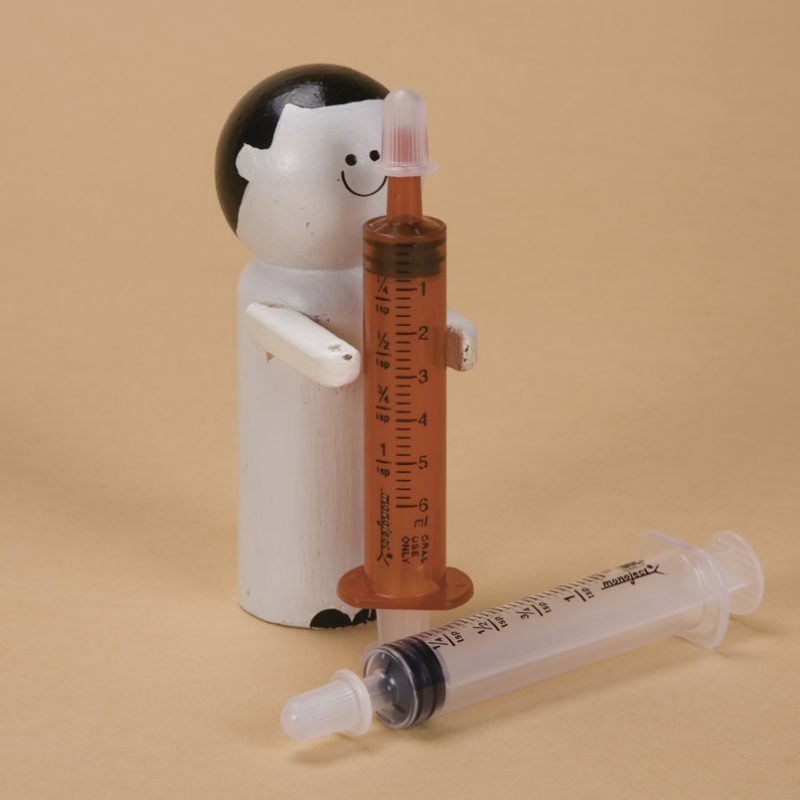 This eliminates the possibility of medication being injected parenterally. Amber coloured for light-sensitive medications. Also available in Clear (#6706C). Oral Dispensers are available in 1mL, 3mL, 6mL and 10mL for user convenience and flexibility. 1mL oral dispensers have printed graduations in millilitres and minums. The measurements are in .10 increments starting at .10 to 1mL. The 3mL, 6mL and 10mL oral dispensers have printed graduations in millilitres and teaspoons. Ribbed tip caps (included) provide an easy gripping surface. Tip Cap can be affixed to dispenser after filling. Our unit dose packaging inventory includes a variety of oral dispensers, vials and caps to satisfy all of your liquid unit dose packaging needs from start to finish. 100 Oral Dispensers per pack.